During the 60’s and early 70’s, as the war in Vietnam threatened its borders, a new music scene emerged in Cambodia that took Western rock and roll and stood it on its head – creating a sound like no other. Cambodian musicians crafted this sound from the various rock music styles sweeping America, England, and France, adding the unique melodies and hypnotic rhythms of their traditional music. The beautiful singing of their renowned female vocalists became the final touch that made this mix so enticing. 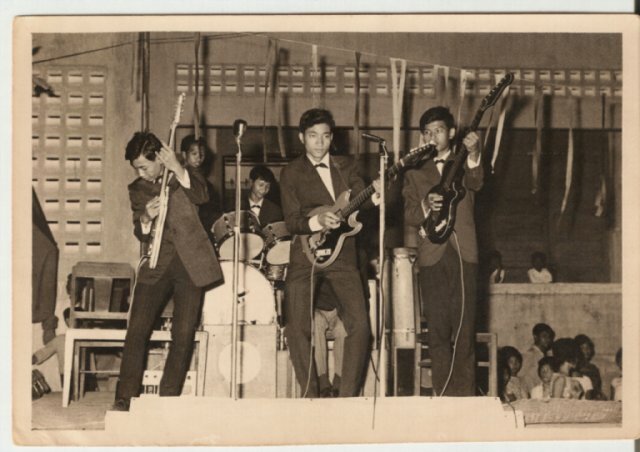 But as Cambodian society - young creative musicians in particular - embraced western culture and flourished under its influence, the rest of the country was rapidly moving to war. On the left, Prince Sihanouk joined forces with the Khmer Rouge and rallied the rural population to take up arms against the government that deposed him. On the right, the Cambodian military, with American military support, waged a war that involved a massive aerial bombing campaign on the countryside. In the end, after winning the civil war, the Khmer Rouge turned their deadly focus to the culture of Cambodia. After taking over the country on April 17, 1975, the Khmer Rouge began wiping out all traces of modernity and Western influence. Intellectuals, artists and musicians were specifically and systematically targeted and eliminated. Thus began one of the most brutal genocides in history, killing an estimated two million people – a quarter of the Cambodian population. DON’T THINK I’VE FORGOTTEN: CAMBODIA’S LOST ROCK AND ROLL tracks the twists and turns of Cambodian music as it morphs into rock and roll, blossoms, and is nearly destroyed along with the rest of the country. This documentary film provides a new perspective on a country usually associated with only war and genocide.